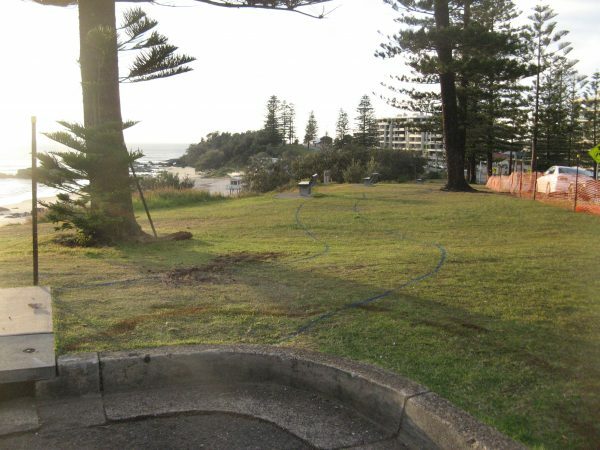 The Stewart Street headland in Port Macquarie overlooks Town Beach and is adjacent to the historically significant Gaol Point. The site is an iconic foreshore location providing magnificent views of Town Beach, the break-wall and up the coast looking north towards Point Plomer. 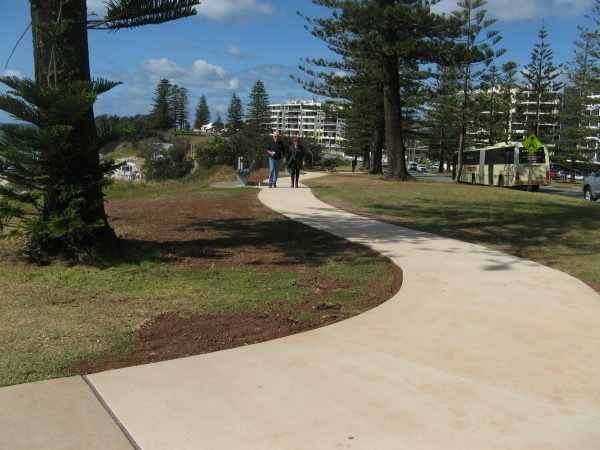 It also provides an alternate route to the break-wall for people walking between Town Green or the CBD and the beaches. Increasing accessibility, utilisation and enjoyment of this location has been a story of community collaboration. From 2015 onward the Tacking Point Lions Club significantly enhanced the appearance and functionality of the Gaol Point site. 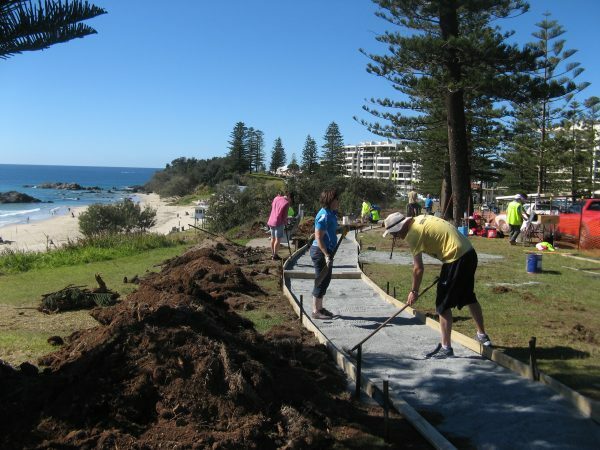 In 2017, a further Community Place Making grant of $10,000 was obtained by Sunrise Rotary to enable the construction of a 110m concrete pathway along the Stewart Street headland which connects the four seats installed in 2016. After 250 hours of volunteer labour by Sunrise Rotary members along with the employment of specialist contractors to undertake the earthworks and concrete finishing, the pathway was completed over a two week period in August 2017. 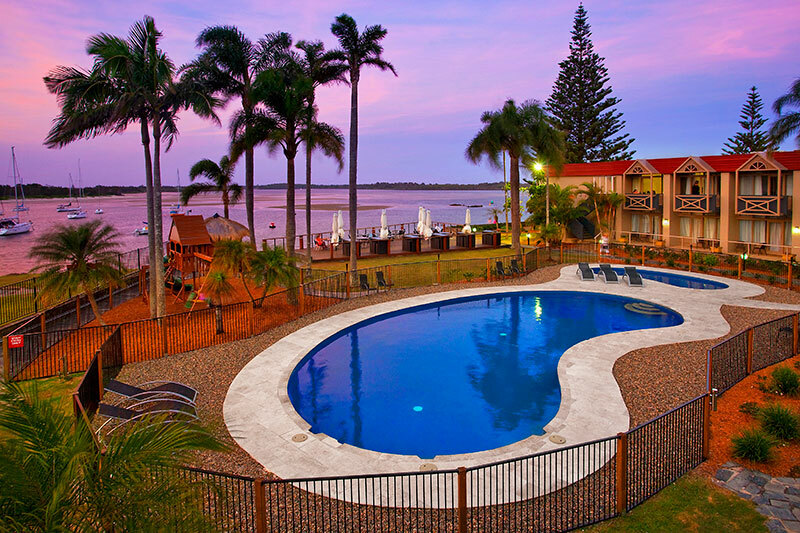 Feedback from locals who regularly visit the location has been extremely positive. you have achieved in two weeks something for which we have waited decades!